Folly Beach is the land of Cate Cooper's childhood, the place where all the ghosts of her past roam freely. Cate never thought she'd wind up in this tiny cottage named the Porgy House on this breathtakingly lovely strip of coast. But circumstances have changed, thanks to her newly dead husband whose financial—and emotional—bull and mendacity have left Cate homeless, broke, and unmoored. 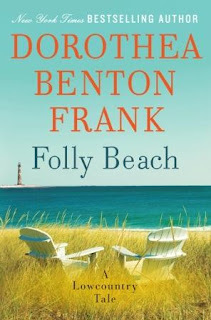 Folly Beach holds the promise of unexpected fulfillment when she is forced to look at her life and the zany characters that are her family anew. To her surprise, she will discover that you can go home again. Folly Beach doesn't just hold the girl she once was… it also holds the promise of the woman she's always wanted—and is finally ready—to become. This one looks like a great beach read. Happy reading! Great book Laura. Thank God for couriers who were delivering for us but Yea Canada Post is going back to work this week. I am sure we will be swamped with books over the next few weeks. Sounds like a great summer read. Thanks for sharing. Enjoy. Folly Beach sounds lovely...I read another book set there and felt as though it was a place I'd been. This looks like a great summer read! I have read a few of Dorothea's books and loved them. I hope your mail situation is over soon. Have a good reading week. The title to this book is very similar to one by Karen White, On Folly Beach! Demain... they promised demain as Mail DAY! Fingers crossed that all those books come falling out of your mailbox. 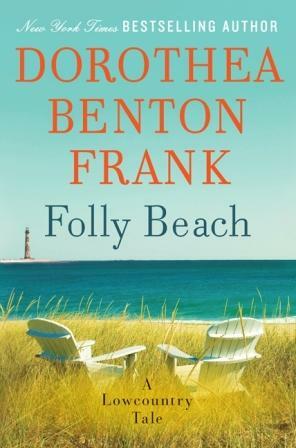 I'm looking forward to reading FOLLY BEACH. Perfect summer fare. Enjoy! I've heard good things about Folly Beach, so I'm looking forward to your review. Hope you enjoy it!